Smooth surface and a perfect visual finish. 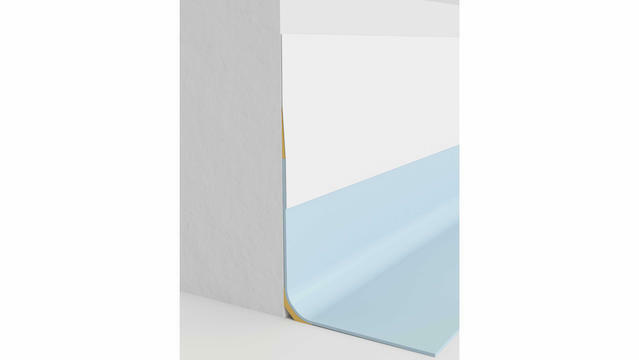 Flexible PVC junction profiles for wetrooms are triangular sections that are glued to reduce the thickness difference between floors rising to the wall and Aquarelle wallcoverings. They ensure perfect watertight seals between the coved floorcovering and the wallcovering. Flexible PVC junction profiles are compatible with wetroom floorings and aquarelle wallcoverings.